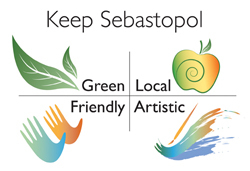 Every year we present the City Council with a list of projects we believe are timely, of community concern, and will help to keep Sebastopol green, local, friendly and artistic. Collaboration: Because collaboration is at the core of our values, almost all of our projects are a joint effort with at least one other organization. This single day-of-service calls on Sebastopol residents to show some love to our local non-profits and donate their elbow grease. From painting and gardening to building and clean-up, local non-profits are featured on LendAHandSebastopol.org with the ability for volunteers to easily sign up for the day. 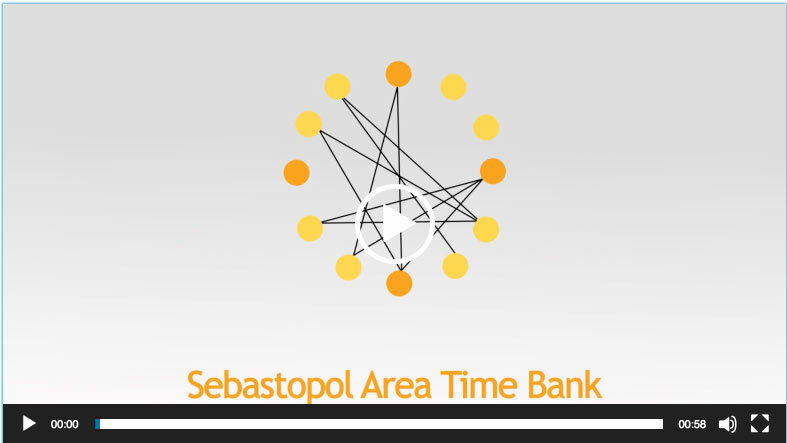 A group of citizens approached us with the idea of creating a Time Bank for Sebastopol. We gladly sponsored this project and within a year and a half they had grown to over 150 members with more than 2800 hours of exchanges. 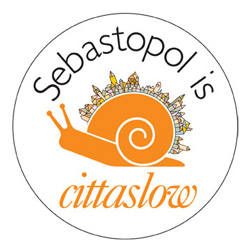 The City of Sebastopol did not have an online calendar. This was one of the top requests in a community survey. Rather than create a separate website, we developed a calendar that can be embedded in the website of any organization that wishes to be a book-markable resource to its peeps. 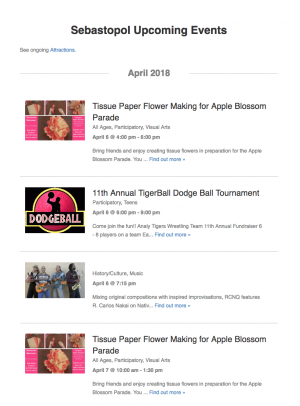 So far there are 6 organizations that display the calendar on their website, including the City of Sebastopol, the Sebastopol Community Cultural Center and the Sebastopol Downtown Association. Numerous others include links to the calendar from their websites. Have an event you'd like to post? Go to SebastopolCalendar.com, scroll to the bottom of the page and click "Submit an Event," and fill out the form. As long as your event meets the criteria, it will be published and appear on all the websites that display the calendar. Want to display the calendar on your website? If you'd like to be considered a go-to resource for finding out about local events, you can easily embed the calendar. We'll help you. There's no charge. Contact us at info@cittaslowsebastopol.org. Have a project you'd like to create with us? This is how most of our projects start. Usually a group—or even a single impassioned individual—comes to us with an idea and is willing to take the lead if we can contribute technology, marketing or project management skills. How does it benefit Sebastopol? Are there other groups (for profit, non-profit, governmental) that are concerned about this issue and willing to collaborate? Are the skills and people power available to make it happen? Does it fit with the 6 priorities of a Slow City? If it's a thumbs up from the Steering Committee, then we work with the Project Lead to create a timeline with measurable milestones, and a budget. If no City funds are needed and we have the volunteers, we all get started. The next step for a City-funed project is to bring a proposal to City staff and get their feedback. If they like the idea, then we put it in our Budget Request in February for Budget Subcommittee review in March, and City Council approval or negotiation in May. If funded, we usually start July 1 with the beginning of the fiscal year.